This is a brief study of the life and work of Athanasius of Alexandria [296-8 – 373]. My thanks to Book Aid for making available a copy of this public domain title for digitisation. Robinson Thornton (1824-1906) was Archdeacon of Middlesex and later a Prebendary of St. Paul’s Cathedral (see Wikipedia article). This book is a brief biogaphy of Ambrose of Milan, followed by an assessment of his impact on church history. William Fairweather’s work on Origen provides a general introduction to the great Alexandrian theologian, his theology and his legacy. My thanks to Book Aid for providing a copy of this book for digitisation. This title is in the public domain. Christianity had introduced a new idea of God, which superseded not only the deities of classical mythology, but also the Hebraic Deism which regarded God merely as the God of the Jews, and as virtually separate from the world. 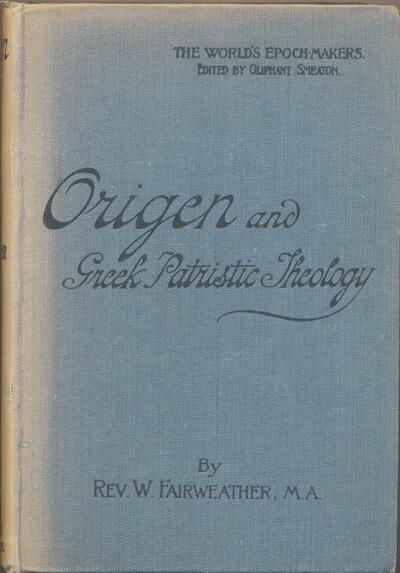 The Greek patristic theology was the result of the application of the specific methods of Greek philosophy to the new material supplied by the Christian history, with the view of constructing a reasoned theory of God and the universe. As such it was ” the last characteristic creation of the Greek genius.” In the New Testament God is represented from a religious point of view; but for the Greek mind, which conceived God metaphysically as abstract Being, a scientific theology was indispensable. The facts of Christianity had to be so interpreted as to yield a conception of God which would at once conserve His unity, and yet admit of His organic connection with man as Lord and Saviour…. This is a series of four lectures on the Church’s task of evangelising the Roman Empire. Charles Bigg [1840-1908] was Regius Professor of Ecclesiastical History at the University of Oxford. This title is in the public domain. 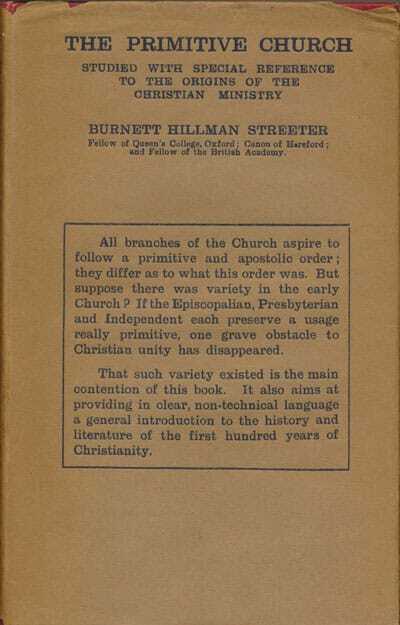 These four Lectures, delivered in the Oxford Schools in the Michaelmas Term of 1904, are an attempt to sketch in broad outlines the nature of the task which lay before the Church when she set out in obedience to the divine call to evangelize the Graeco-Roman world, and the degree in which she was enabled to fulfil that task within the compass of the first five centuries.